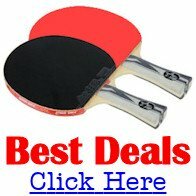 Womens table tennis is attracting more and more attention. Although the womens world rankings are dominated by the Asian countries, particularly China, it's Russia's Svetlana Ganina who's attracting a lot of attention. Svetlana most recent ranking was at number 133 (March 2013) in the womens world ranking list, although she has been as high as 34 (June 2007). However, as she has not played in any recent world ranking events, her ranking has now lapsed. Born on 11 July 1978, Svetlana first came to prominence as a cadet and junior player, winning several prestigous titles. In singles, Svetlana won the European Youth Championships (Cadet) in 1992 in Topolcany, Czechoslovakia and the 1994 European Youth Championships (Junior) in Paris, France. She was also runner-up in the 1995 European Youth Championships (Junior) in Den Haag, Netherlands. But it was on 14th April 2007 at the Liebherr Brazilian Open, that Svetlana reached a new milestone in her table tennis career. She beat Korea's Jee Min Hyung in five games to earn a place in the semi-finals of a Women's Singles event on the ITTF Pro Tour for the first time in her career. Prior to that victory, her best performance in singles at a Pro Tour event was a quarter final in 2004 in St. Petersburg, Russia and again in Zagreb, Croatia in 2007. Despite her lack of womens singles titles, Svetlana has an impressive record in doubles and team events. Russia's top woman player has adopted a defensive style which makes her a firm favourite with the crowds wherever she plays.